classes take place in a Halotherapy Yoga room covered in solid, himalayan salt blocks. We always run the Halogenerator during class so you can receive the benefits of Halotherapy while you practice. This class focuses on traditional yoga postures and the foundations of breath-work. Learn proper alignment, where to focus effort and where to find release. A good choice for someone less familiar with the physical practice or someone looking to revisit the basics. Max capacity for this class is 12 allowing for more interaction and individualized attention. Includes Halotherapy Recommended for all experience levels. 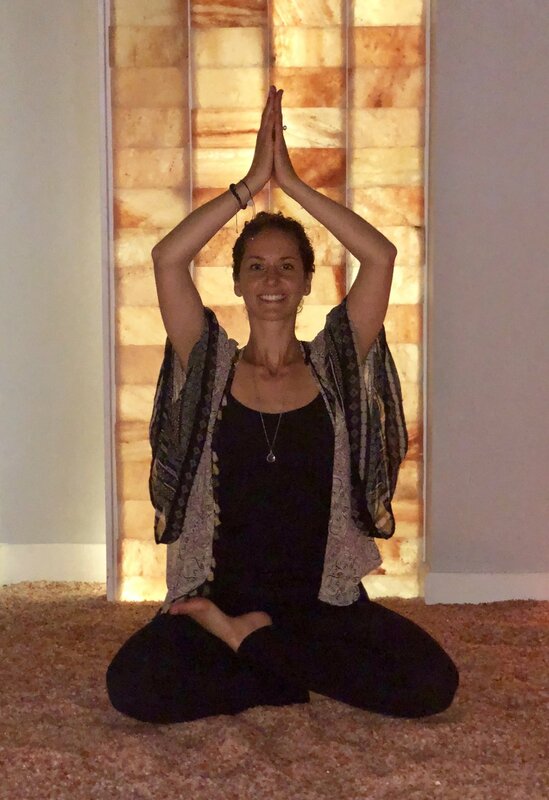 Move with intention to connect with your mind, body, and spirit in Mindful Flow. Use your breath to move through each pose with balanced effort and ease. Combining breath with movement leads to a calmer way of being present both on and off the mat. You will feel nourished, supported and vibrant at the end of class. This class is guided by your instructor and includes Halotherapy. Recommended for all experience levels. Gentle Flow is designed to help you feel calm, open, and relaxed. This is a low-impact guided class that includes flowing through postures at a slower pace than our other flow classes, with longer holds and emphasis on breath. Includes Halotherapy. Recommended for all experience levels. Slow Flow & Restore will flow slowly through sun salutations and postures designed to build internal heat slowly and gently. Meditation and breath work techniques are taught to promote relaxation. Class concludes with Restorative Yoga postures which settle the body and mind. Includes Halotherapy. Recommended for all experience levels. Set the tone for your day with the energy and intention of what you desire. Sunrise Flow offers a well balanced flow to get you grounded, balanced, cleared, energized and ready to take on your day! This class is guided by your instructor. Includes Halotherapy. Recommended for all experience levels. Slow down your movement to delve deeper into the muscular system by holding poses for an extended period of time. This class is completely guided by the teacher. Should you find discomfort in your practice, you will find solace in the power of breath. This class is perfect for anyone looking to meet their edge. Includes Halotherapy. Recommended for all experience levels. Wind down your day with Vin to Yin. This well-rounded evening class infuses a vinyasa slow flow with quiet, cooling, relaxing and restorative poses at the end and an extended savasana. Perfect to ease away the day and prepare you for a restful night's sleep. Includes Halotherapy. Recommended for all experience levels. Blend Express is designed to energize and center students in a 45-minute vinyasa-inspired class. Students will flow through a guided rhythmic sequence and encouraged to move at their own pace if desired. Includes Halotherapy. Recommended for all experience levels. Vinyasa is a flowing, dynamic yoga practice that cultivates presence by connecting movement with breath. Classes feature several elements of traditional Ashtanga yoga— sun salutations, standing poses, preparation for arm balances & backbends, and steady breath. Our instructors incorporate alignment cues and opportunities for students to flow on their own. 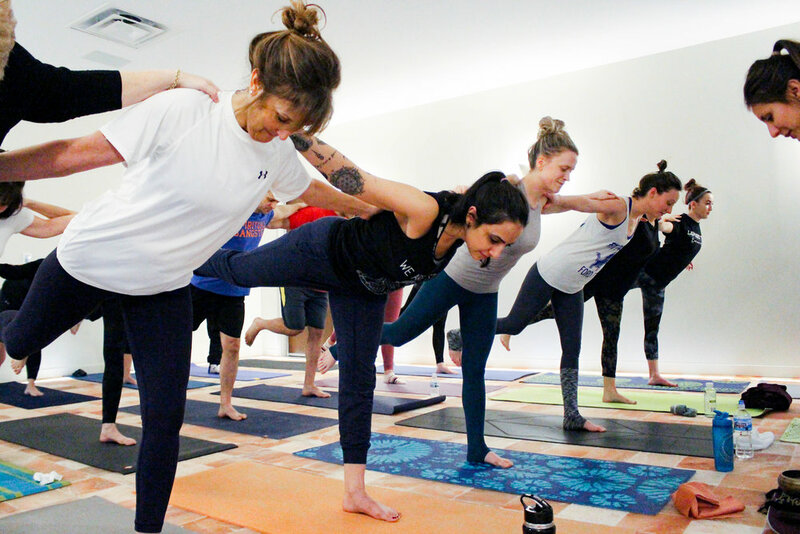 We recommend at least 3-5 yoga classes prior to starting this class, however, all our teachers are very supportive and will help guide you through a wonderful experience on the mat. Includes Halotherapy. Studies show that being able to be in the present moment increases your daily well-being. This class is great if you need a guide to help calm the mind and body during meditation. Deepen your practice with a supportive community. Led by visiting trainers! Coming Spring 2019!